Don't eff with Thor. You don't want to see him angry! As we’ve pointed out here, movie, if anything, are totally true to life. So it stands to reason that the Council of Conservative Citizens has their white sheet undies all in a bunch because Hollywood has done the unthinkable! Nope, it’s not that they’ve made the Yogi Bear movie or Little Fockers. It’s worse. They’ve made Heimdall black. Everyone knows Heimdall, right? He’s the Norse god who can hear grass growing and leaves falling. The one who will sound the Gjallarhorn, alerting the æsir to the onset of Ragnarök where the world ends and is reborn. Oh, and he’s also called “the white god.” And he’s being played by blacktor Idris Elba. “It [is] well known that Marvel is a company that advocates for leftwing ideologies and causes,” the site reads. “Marvel frontman Stan ‘Lee’ Lieber boasts of being a major financier of leftwing political candidates. Marvel has viciously attacked the Tea Party movement, conservatives and European heritage. On one hand, as an Oreo, I’m totes jealous that Idris Elba is cast to play “the white god”! What an Oreo coup! I’ve sung “Popular” from Wicked at karaoke for years and have yet to land a role for a blonde. On the other hand, as an Oreo, I’m totes bothered. If directors like Kenneth Branagh continue to fly in the face of reality and give roles to of color actors that allow them to speak in lofty poetry instead of rap and live in the sky instead of the hood…what does that mean for the Oreo? If Hollywood just starts giving parts out willy nilly to talented actors without first vetting them based on race, how will the Oreo know what to avoid to not seem so, you know, black? And the CoCC has some good points. (If you want a real fun afternoon, btw, check out their website!) Heimdall clearly wasn’t mean to be black. He’s a Norse god, hello! So it’s good that apart from Elba, all the other actors are ethnically correct. Like the Celtic New Zealander Chris Hemsworth who plays Thor, or the Welsh Anthony Hopkins who plays Odin, the Irish Ray Stevenson who plays Volstagg. Yup, all Norse– wait, what? 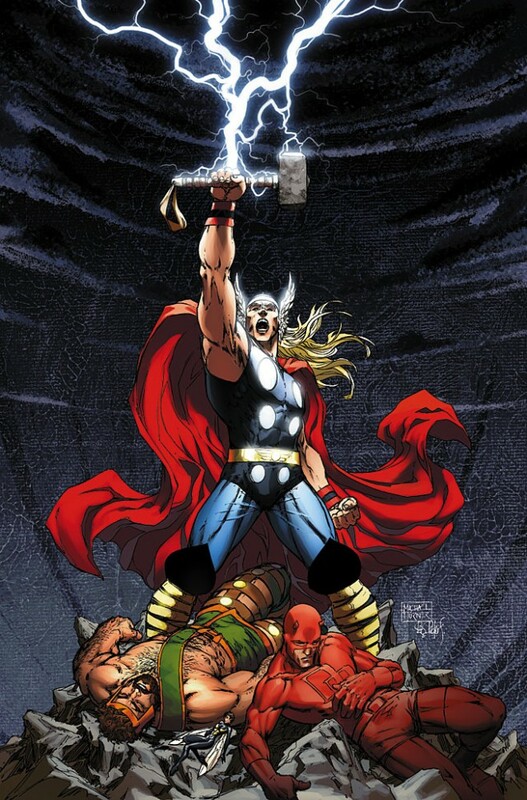 It’s a relief to note, btw, the other true-to-life elements of Thor remain in tact. Like how Thor’s hammer flies from nowhere to his hands whenever he clicks his fingers. So it stands to reason why the CoCC was so upset…the movie was so close. So. Very. Close. Obviously, the CoCC has a lot of boycotting to do! Here’s their email form if you’d like to get in touch with them to show your support. If you do…let me know what they say.